The latest update brings you a frequently requested feature: a report on declined transactions. This report is now available in the Sales section of the Control Center. Now you have a tool to help you with following up on sales that, for some reason, were not processed successfully. It gives you the information you need to approach an unsuccessful buyer to recover a sale. The report covers both new sales and rebills, and it even goes one step further — it shows whether an unsuccessful sale was recovered later (e.g. the buyer bought the subscription later with a different payment method). 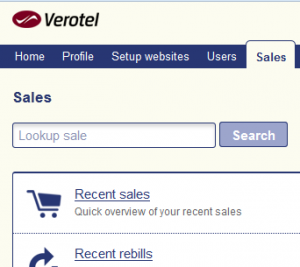 Setting up membership payment options in the Verotel Control Center has never been easier! The membership payment options for your websites are managed in Setup Websites > Website Detail page. 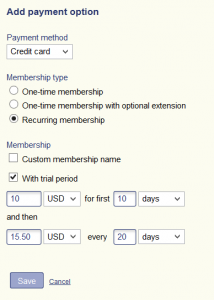 If your websites sell memberships, either one-time or recurring, you will appreciate the redesigned membership setup tool. Now you can easily create new membership offers for your websites. Just select the payment method, membership type, currency, and duration, and you are done. Trial periods are easy to setup too.